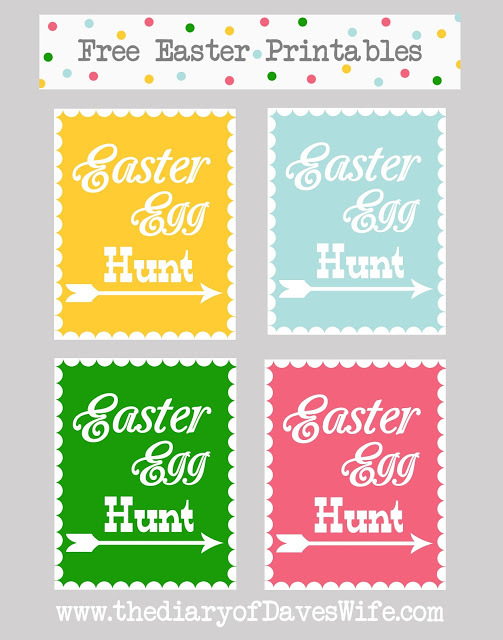 If you love decorating for holidays with printables then you will want to check out these cute Easter egg hunt printable posters. You can use them to point your guests towards the Easter egg hunt or just pick your favorite color to dress up your mantel. You can download your favorite Easter printable over at The Diary of Dave's Wife.